Tabs that push to hold and lift to remove give the handles their distinctive appearance. Brewers choose vibrant PMS colors that most attractively complement the pack’s graphic appeal. 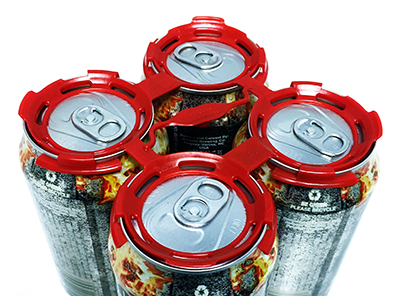 The handles allow the cans to be closely stacked for efficient storage at the brewery. These new high density polyethylene (HDPE) handles are 100 percent recyclable. On outings, the handles can be reapplied for convenient carrying home to refrigerators for unopened packaging or to recycling bins for empties. The new semiautomatic applicator is easy to use and portable. Simply roll it out of the way when not in use. It was designed for speed and to satisfy the budgets of cost conscious brewers. This applicator is compatible with 12- and 16-ounce cans. It is ideal for breweries and mobile canning companies. Applicator operators will be able to quickly pack cases and then be free for other duties. Learning how to operate the applicator requires only minutes. For more information on the new Roberts PolyPro appealing, sustainable can handles specifically designed for the needs of craft brewers, and the new semiautomatic handle applicator, call 800-269-7409 and visit www.RobertsPolyPro.com for more information on this innovative company. Be sure to stop by the Roberts PolyPro BrewExpo Booth # 2541.